Today isn’t just January 18th, it’s also the birthday of arguably the best football manager on the planet – Manchester City chief, Pep Guardiola. Turning 48 today, the Spaniard has had both an illustrious playing and coaching career to date, winning 41 honours. Starting off at his boyhood club Barcelona, the midfielder won an array of trophies, including six La Liga titles and the 1992 European Cup. He would end up captaining the Catalan giants as well as his national team, Spain, for who he represented on 47 occasions. After finishing his playing career in Mexico in 2006, Guardiola stepped into coaching a year later back at the club where it all started for him as he took on the Barcelona B team. His natural talent and intense, meticulous coaching methods were apparent straight from the off as he guided the side to the Segunda Division B title. One man who was certainly impressed was club president Joan Laporta who promoted Pep to first-team boss in the summer of 2008, following Frank Rijkaard’s departure. The departing Dutchman had won two La Liga, two Spanish Super Cups and the Champions League in his five years at the Camp Nou. Guardiola had some big shoes to fill. But the passionate Catalan took to the job like a duck to water and, with the help of players such as Andres Iniesta, Xavi, Carles Puyol and the one and only Lionel Messi, they became the dominant force in European football. In his four years in charge, Pep and his side lifted three La Liga, two Copa Del Rey, three Spanish Super Cup, two Champions League, two UEFA Super Cup and two FIFA Club World Cup trophies. Despite the success, the serial winner loves to challenge himself and he departed in 2012 before taking the Bayern Munich post in the summer of 2013. The aim was to take his brand of football to Germany and, despite failing to win the Champions League at the Allianz Arena, he gave the Bundesliga side a new way of playing which helped them win the Bundesliga all three seasons he was in charge. 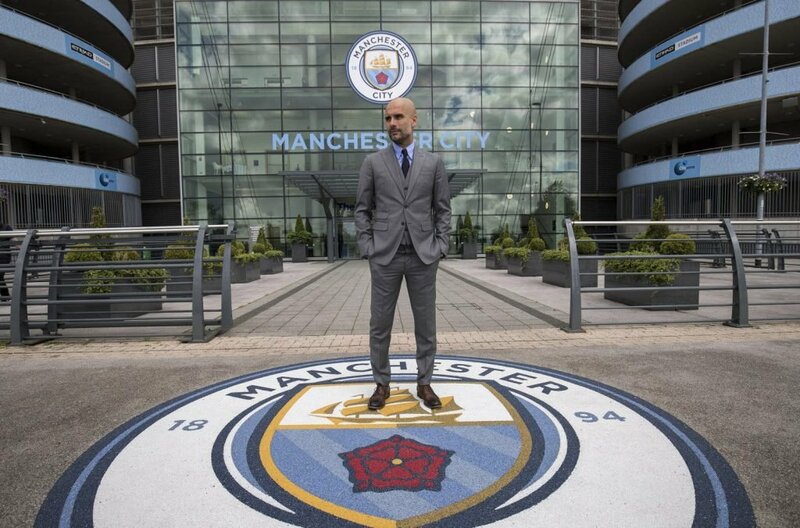 A new challenge again presented itself in 2016 when Pep was unveiled as Manchester City’s new head coach. Despite an uncertain first season, in which his side sealed a Champions League spot on the final day of the season, the Cityzens showed signs of what was to come. 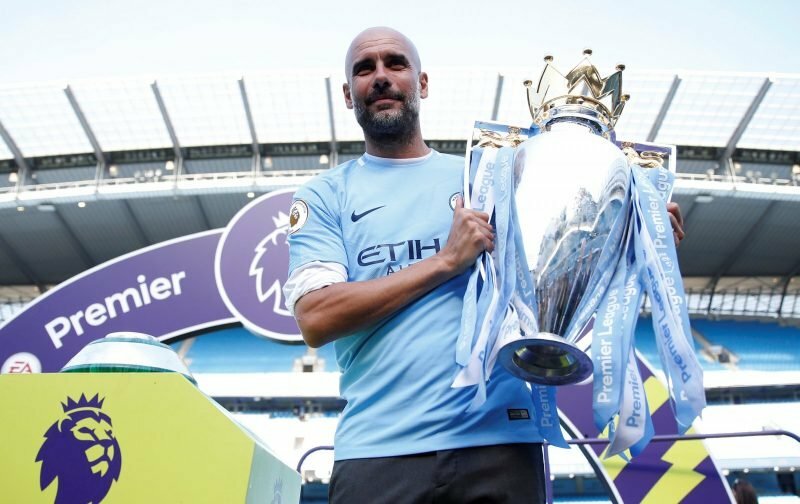 What was to come was a record-breaking 2017/18 Premier League campaign in which the Etihad outfit recorded 100 points, scored 106 goals and lost just two matches. Again, the Champions League has yet to be delivered with last-16 and quarter-final exits respectively, but the League Cup was collected at Wembley in February 2018 and, this term, Pep’s men are still in the hunt for all four trophies. Already considered a City legend for what he’s dine since arriving at the Etihad, SHOOT has put together five of Guardiola’s defining moments of his career in Manchester so far. Enjoy!